A collection of award winning poet Ellen Carr's poetry about life with all its fun and adventures, its blessings and encouragements, and its challenges. 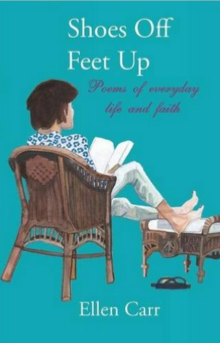 Some of Ellen’s poems touch on the light-hearted and humorous side of life, some rejoice in the joys of life and nature, while others deal with the deeper issues of living with faith in God. Some poems have Biblical themes and some are in the form of prayers.Some tell humorous tales and some tell of hope in the everyday struggles of life. Some are suited to worship and some to pure enjoyment of the fun of life. An index helps the reader to find poems on particular topics or related to particular Bible passages.